Divorce revenge: sometimes it’s burning photos or clothes, but sometimes it goes too far. Many of us look forward to our holidays with a sense of anticipation and excitement, especially if it’s a holiday to a different country. Children are often equally or even more excited as they prepare for and dream of the holiday they’ve been promised by a parent. 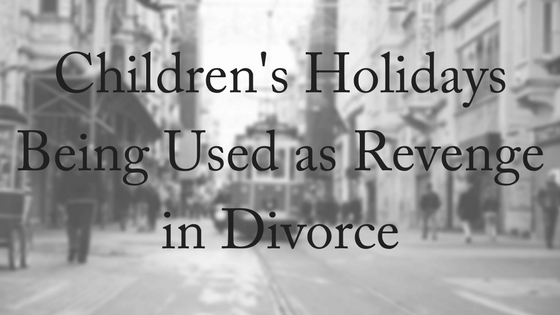 But children’s holidays are being used in divorce revenge. They have become weapons to be used in the hands of parents who are out to aggravate their ex, punishing them by whatever means possible. According to UK lawyers, the holidays and travel hopes of thousands of children have become weapons in the wars between separated parents. A loophole in the rules for broken family settlements means that disaffected parents have the power to wreck or threaten the holiday when a former partner want to take a son or daughter away, they said. 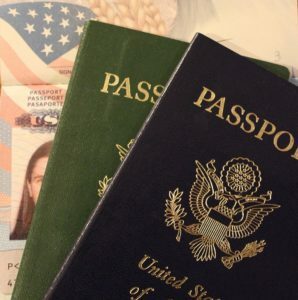 The opportunity for divorcees to take revenge on their former husband or wife comes from the lack of any rule or law that sets down which parent should hold a child’s passport. It is just one more area where parents are using their children as weapons in divorce revenge and even long after. The JMW family law firm said that one in five of the hundreds of family break-ups it works on each year now involve a threat to block a child’s holiday. It is obvious to all observing that the object of torment is meant to be the ex-partner, but it’s the children who suffer the most. Cara Nuttall, a specialist children’s law solicitor, said there had been a sharp rise in pleas from parents for help when they find that at the last minute a former spouse of partner has refused to hand over a child’s passport. Numbers of such incidents hit a peak in the days before Easter, and Miss Nuttall said she and her colleagues are now expecting a further rash of cases before the half term break next week and then the summer holidays. Divorce and family break-up settlements between hostile parents will usually involve detailed agreements about which one the child will stay with and for how long, where the child will stay in the school holidays, and whether the child can be taken overseas. However parents are routinely giving far-fetched last minute reasons why their child’s passport is missing shortly before agreed foreign trips, Miss Nuttall said. In Australia, Parenting Arrangements (sometimes referred to as child custody orders) can be worked out between the parents through negotiation. Some are able to work out very quickly and easily what is best for their children, while others need the help of mediation to come to an agreement. Only when the parents cannot agree does it go the the Family Law Court for the court to decide what will be in the children’s best interests. But when exes are wanting to battle it out, they go to hostile lengths to ensure that their ex-partner’s plans are thwarted – even if it means disappointing their children in the process. ‘Even in circumstances where the arrangements for the provision of passports are contained in carefully-crafted orders, we have seen a range of creative excuses, including passports being said to be lost, damaged or stolen just hours before the trip, making it impossible to remedy the situation before departure,’ Miss Nuttall said. Preventing your children from going on and enjoying a holiday with your ex, just because you want divorce revenge continues the trauma for your children. “I don’t expect anyone to be friends in the middle of a breakup,” says Dr Robert Emery, a divorce researcher, therapist and mediator. “Parents parting ways don’t have a relationship to resolve – they have a job to do. If you treat your ex more like a business partner, you can avoid a lot of conflict and give both of you some time to heal. After time, maybe you’ll become friendlier, maybe not. That’s not the goal, really. 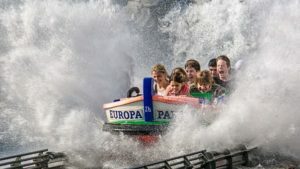 The goal is raising children who are happy and secure in both their parents’ love.” By looking after the interests of your children first, communicating with your ex shouldn’t be such a chore, nor should allowing them an overseas holiday together. At Divorce Lawyers Brisbane we believe that the children’s interests should lie at the heart of parenting arrangements. Our experienced family lawyers understand the complexities of child custody issues and are familiar with the issues that can arise with conflict between divorcing parties. We offer a FREE, 10-minute phone consultation. Please contact us today! Thank you – we will be in touch with you.